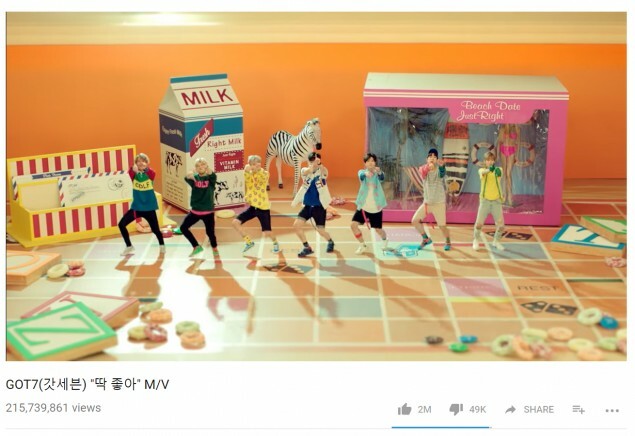 GOT7 now has 2 million likes on "Just Right". The MV has over 200 million views, and was their first MV to reach 1 million likes. Now, it's also the boys' first MV to reach 2 million likes. It's the first feat for a JYP Entertainment boy group, and one of the earlier K-pop acts in general to reach the feat. Congratulations to GOT7. You can check out the MV again (and Like it if you haven't yet) above.